Health Savings Accounts (HSAs) at Shell Lake State Bank help you plan for medical expenses. We offer competitive, tiered interest rates on our HSAs. 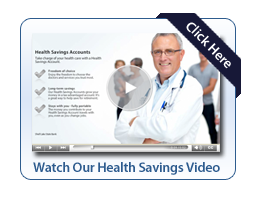 A Health Savings Account (HSA) is a tax-advantaged medical savings account available to tax payers who are enrolled in a High Deductible Health Plan. If you are interested in opening an HSA, feel free to contact us or stop in and discuss in more detail what an HSA can do for you. The Shell Lake State Bank HSA account offers competitive, tiered interest rates.